"Success comes before work - only in the dictionary"
Mirrowflex Structures! Wallcoverings! Modern Fireplaces! 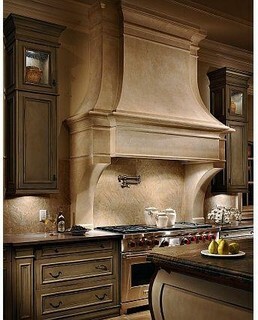 Kitchen Hoods!! CEILING! Wainscoting! Wall! BACK SPLASH! MirroFlex Structures are decorated thermoplastic panels which are 3-dimensional and flexible for ease of installation. Innovative IDEA in the 1800's Revisit in 2013! Lincrusta is the ultimate wallcovering used in some of the most presigious buildings and locations around the world since 1887. Installations in European castles and estates was not out of the ordinary for this innovative product! Now, expert installers from Custom Image Interiors can embellish your'home'with Lincrusta innovative patterns! The extra deep, solid texture of these paintable Lincrusta Wallcoverings imitates tooled leather, plasterwork and pressed metal at an affordable price. Use strong, durable 'Dado Panels' for high traffic areas. Unique in style and design. Apply to rooms, hallways, and up staircases. This product comes in easy to layout wallpaper rolls in 23 foot lengths and each panel height is 41 inches tall. Elegant Faux Painting Technique...out of this world! Product News for the DIY!! Presto Patch...the new DAP wall fixer for simply...a hole in the wall!! The patch is intended for repairing drywall holes larger than 3"diameter. Diameter repair kit comes in 2 sizes... 3 7/8" and 6 7/8" DAP products are widely available at all hardware stores. The fireplace, pushed aside by the television, isn't an emotional center of the American living room...but it's finally fighting back in 2013. SLEEK STYLE.....Popular Design for 2013! Kitchen 'hoods' are now making a unique design statement...expressing one's self in an extrordinary way! Lighting can add to overall effect! The Claudelle is a highly decorative range hood. The opening of the shelf is highlighted by a succession of chiseled scalloped edges that draw the eye to the very soul of the kitchen, the hearth. The soft curves of the shelf offset the oversized dimension of the hood. The Garibaldi is a monumental range hood with very strong yet streamlined architectural lines. The overall linear design of the breakfront shelf is offset by the gentle curves of the double recessed concave stack. "A family that cooks 4 x each week can produce approximately 1 gallon of grease and 2 gallons of water in the form of steam a year" says Jan Byers, Manager of the Zero/Wolf Showroom in North Carolina. The blower ventilation system is designed to remove both. The best option.... the blower which is vented to outdoors. 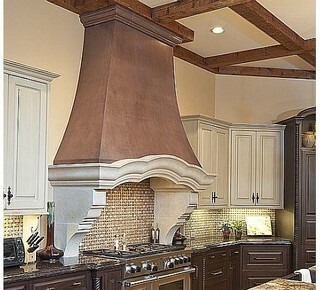 Range hoods which recirculate air from home's ventilation system, generally..don't perform as well. The strength of blower should depend on the size and features of the range you're cooking on. -Art can 'outsmart: Hanging a large piece of beautiful art which is capable of 'swinging' outward on side of TV can camouflage it in a creative way. -Convince the TV: Being 'discreet' is the TV's goal. Placing it among several other decorative objects in a grouping..a gallery wall..hides a small TV perfect! Wallpaper... a great tool for giving any room an affordable facelift...making a room more intimate...special! After two decades on the uncool list, wallpaper has made a comeback. There’s a huge range of rich textures and striking patterns on the market today that can bring glamour to a room – something that’s hard to accomplish with paint alone. "When I saw the finished results of this teen girl's room, it warmed my heart. Without the words...the interest in room fades.."!! Thank you for reading CUSTOM IMAGE INTERIORS Fall eNewsletter!